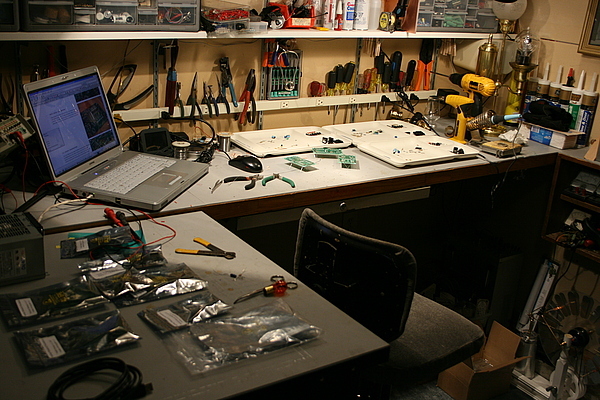 A couple weeks ago I began work on a RepRap machine. A RepRap is a desktop fabricator or 3D printer that is capable of making all of the parts of itself that are not stock off-the-self items. It’s a 2 1/2 axis CNC plastic extruder that fabricates parts by laying down layers of melted plastic, one atop the next. RepRap was conceived from the beginning as an Open Source project with the intent that, once self-replication was acheived, a community of "rappers" would allow it to evolve with each contributed improvement being merged back into the machines "DNA." 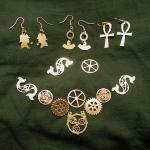 Hence the code name "Darwin" for the initial design. RepRap acheived self replication in May of 2008 and there are now hundreds of people building and experimenting with this Open Source hardware platform. 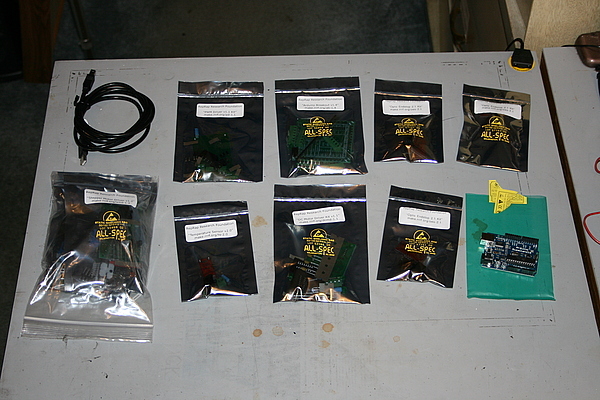 I began by ordering the complete Arduino based electronics kit from the RepRap Foundation’s store. This is a great project for the wintertime, my main shop is not heated but the area I’ve set aside for electrons is at the back of my office and is heated and quite cozy. Back when I was fresh out of school, I did electro-mechanical assembly contract work in Massachusetts during the first tech boom. I’ve worked at dozens and dozens of high tech companies all up and down Rt 128 – America’s Technology Highway – building everything from the button you press when you’ve fallen and you can’t get up to high-speed printing-press paper changers the size of a small house. 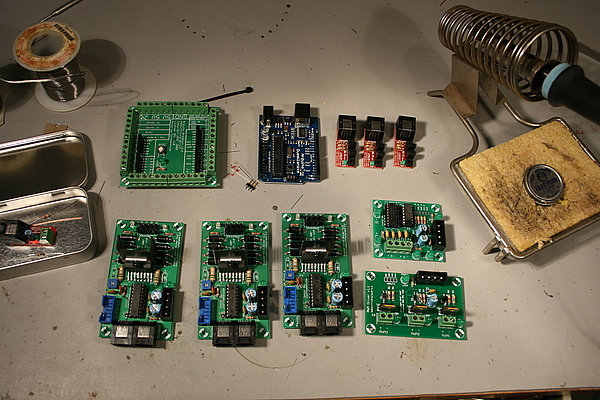 So making a bunch of circuit boards was kind of nostalgic in a "Cor! 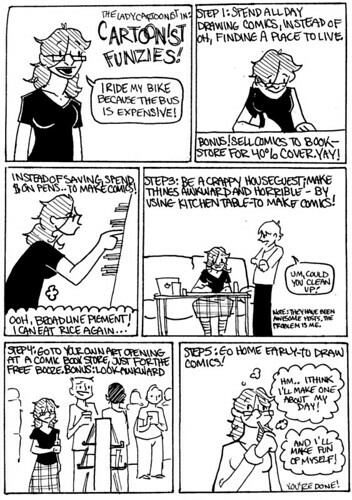 I’m glad I don’t do this for a living anymore!" kind of way. 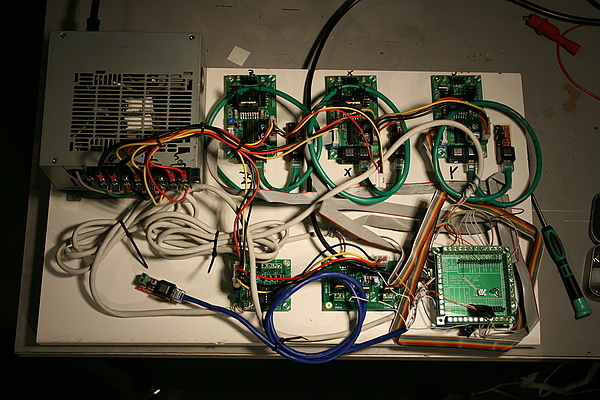 Once the boards were made up, I mounted them all on a breadboard and wired them up to an ATX power supply that had been modded to run without connection to a PC motherboard. 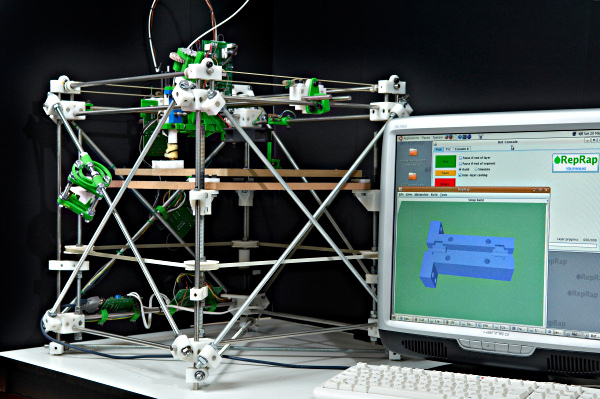 The design of the RepRap modules is quite clever and they have made great use of common connectors and cabling to simplify the task of building a RepRap machine. Next step is to order the stepper motors, hardware, and extruder kit. Stay tuned!